(Centre from left to right): Choo and Ho with SpongeBob SquarePants and Patrick Star awaits you at SpongeBob’s Christmas Lagoon. I attended the SpongeBob's Christmas Lagoon with my mom and brother recently. I really liked the 'Under The Sea' theme. After we entered through the Surf Beach entrance, we took a train to SpongeBob's Christmas Lagoon. I loved the 20 feet tall Christmas tree. There are a lot of activities to do here during the school holidays. 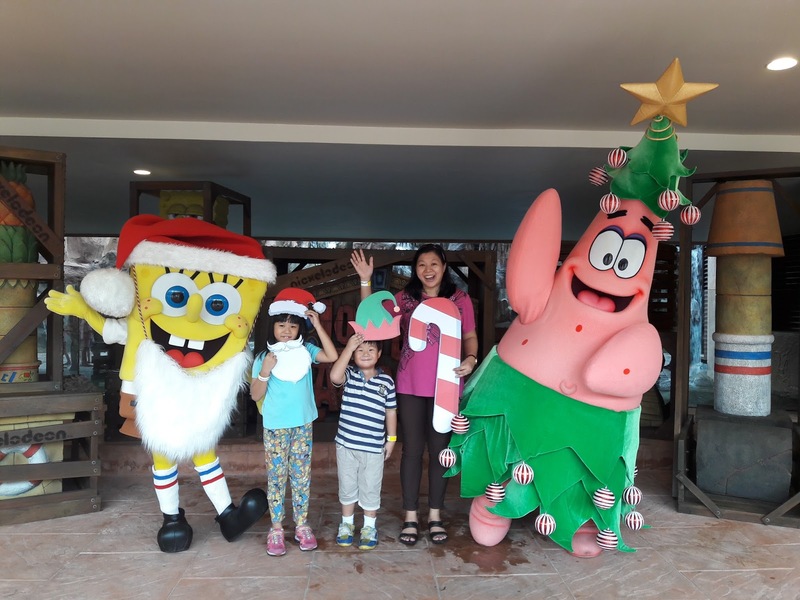 Santa Walk Around with Captain Quack and Lady Quack, SpongeBob Square Pants and Patrick Star, craft activities for children to make their own Christmas Tree out of paper cups, and make giant bubbles at Bubble Jellyfish Field at the Explorer’s Campsite near SpongeBob Splash Adventure. 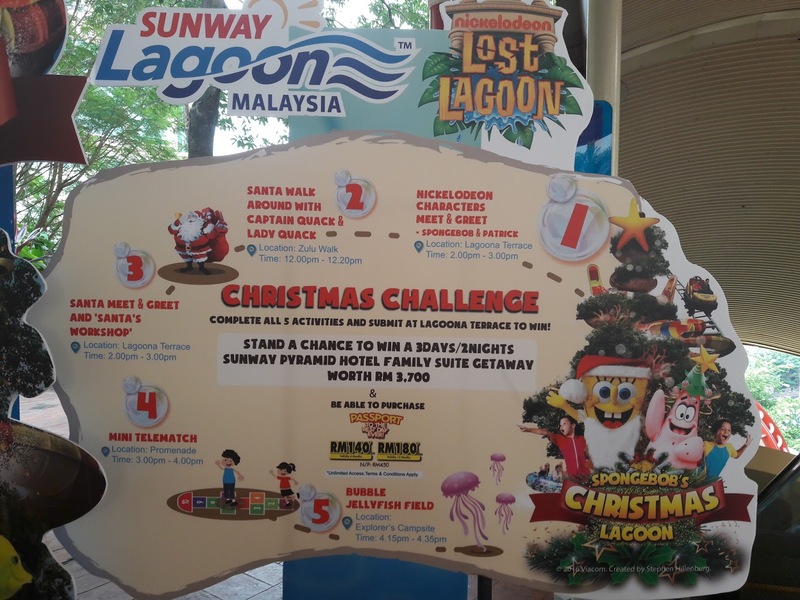 In addition to the launch, guests can be in the running to win a 3 Day/2 Nights Sunway Pyramid Hotel Family Suite Getaway and 4 admission tickets worth RM 3,700, by participating in the ‘Christmas Challenge’. 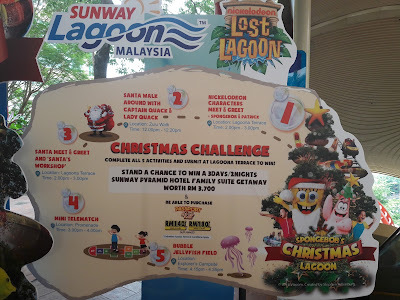 Guests can refer to the ‘Christmas Challenge Map’ at various locations in the park (e.g. 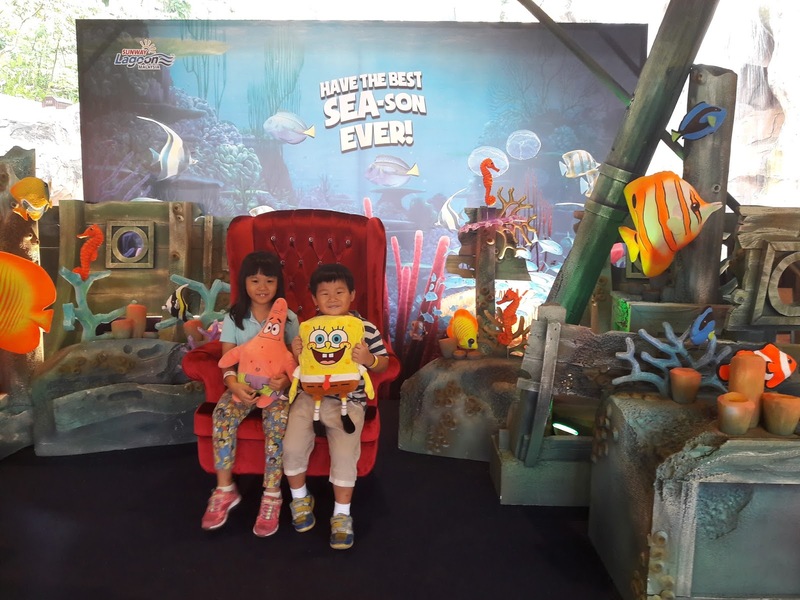 Nickelodeon store at the main entrance, Surf Beach area and along Zulu Walk) to navigate their way to complete all the fun activities at designated locations stated on the map. 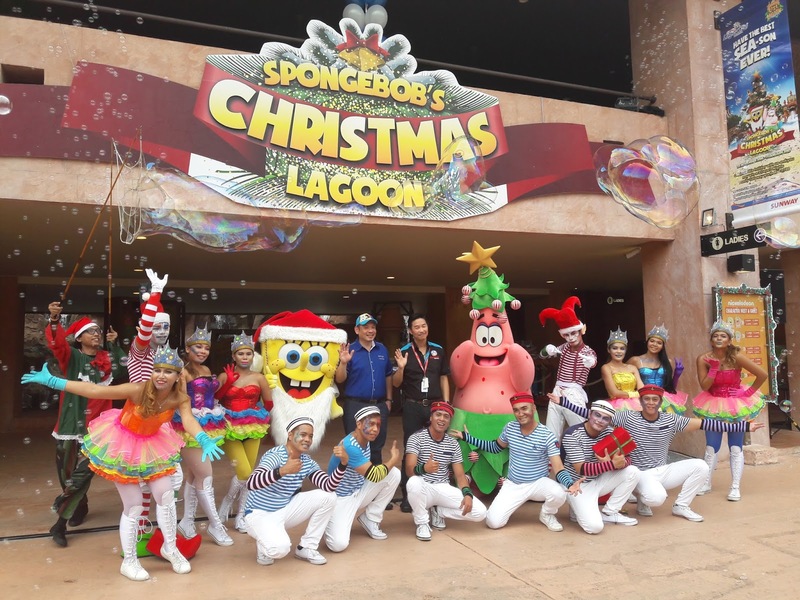 They will then have to fill in their details and provide a slogan of not more than 20 words and submit their form at a station located at Lagoona Terrace in Nickelodeon Lost Lagoon. adults above the age of 12 and RM 120 for those below 11 years old. www.sunwaylagoon.com or connect to www.facebook.com/SunwayLagoonMalaysia. 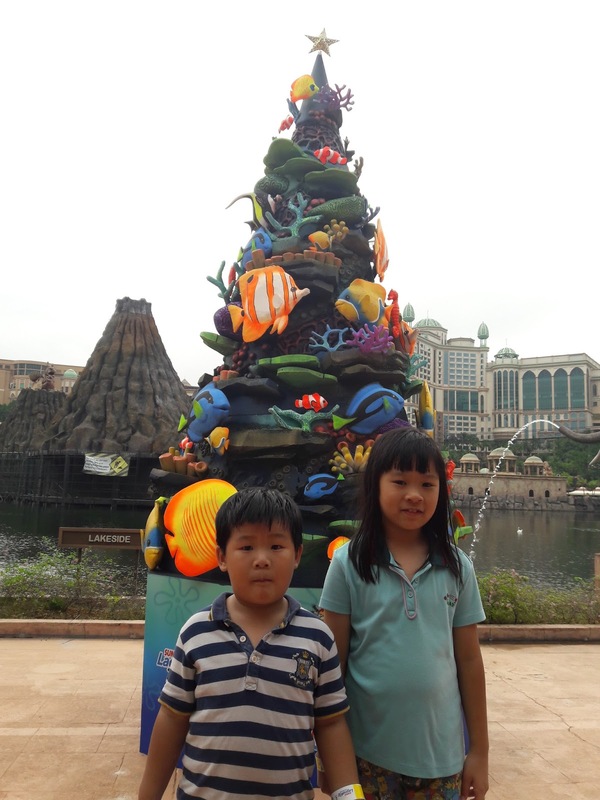 This is the best place to have family fun. I love all the Christmas decorations. Yes, it's so much fun. Like all the activities they have. I can feel the Christmas spirit. I like the 'Under The Sea' theme decorations. Your SpongeBob and Patrick photo is nice. Thanks. I like that photo too.